The lyrics above are from Colombian singer Shakira's super duper popular number Waka Waka, the paragraph basically cheers Africa, which hosted the 2010 FIFA World Cup. Though the above song was sung for the country of South Africa, I'm using some artistic liberties and applying it to cheer for the continent of Africa, for today's recipe pays homage to a very popular North African cookie. The Makroud. 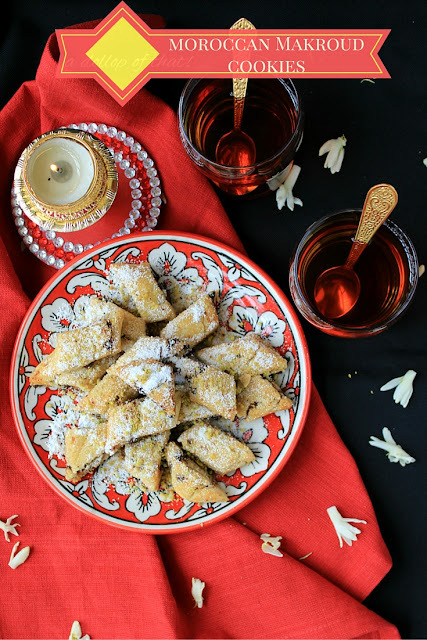 The word Makroud in North African languages simply means 'diamond shaped' for that is the traditional shape that these delightful cookies are made in. Call it age, call it a call of my roots but time and again I'm drawn to recipes and ingredients that are native to the country of Persia - for there is where our Zoroastrian forefathers lived 1800+ years ago. 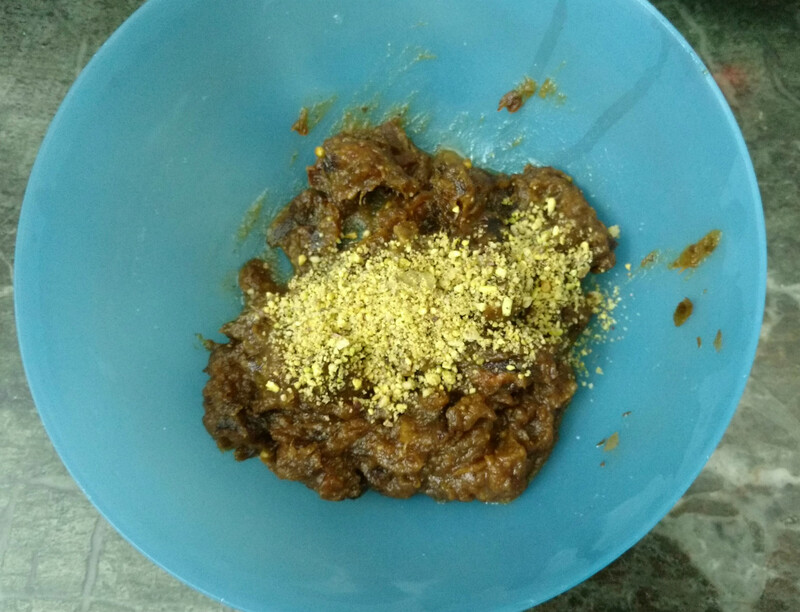 (modern day Iran), thus I occasionally have strong cravings for ingredients like pistachios, dates, semolina and rose water. (weird but true). 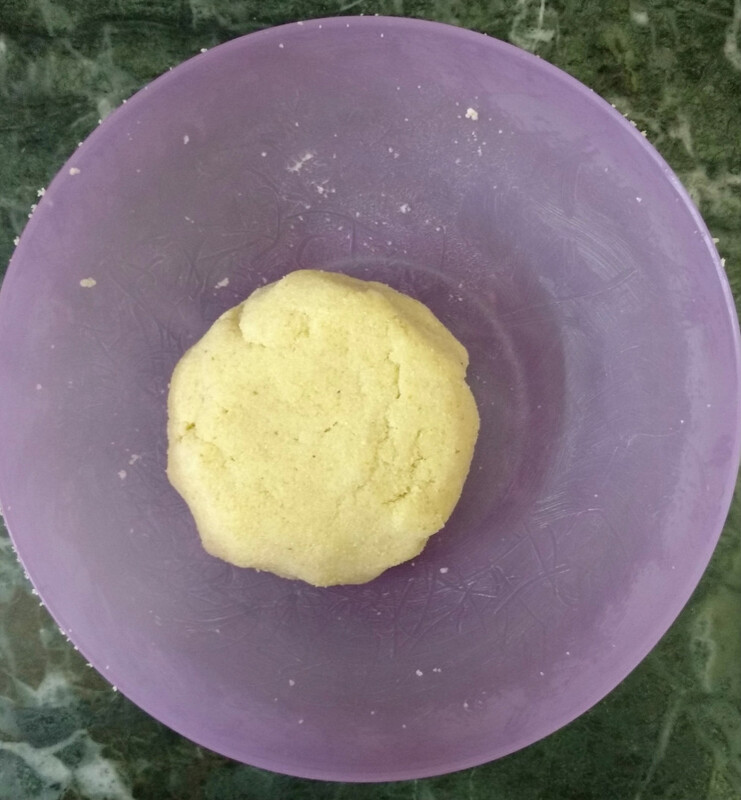 Last week as I type searched in the above mentioned ingredients a lovely recipe for Middle Eastern Ma'amoul cookies was what I repeatedly found and though very beautiful to look at, these cookies had to rest their dough for a minimum of 7 hrs. Now this kind of two batch work on a recipe is not my cup of tea at present (I have my hands more than full with a feisty 3 year old). Upon further searching I came across this North African (think Morrocco, Algeria) cookie - The Makroud which had almost 90% of ingredients similar to the Ma'amoul cookies but only had 30 mins resting time for the dough. Makroud a.k.a Makrout is a North African pastry eaten in Morocco, Algeria, Tunisia and in some parts of Libya. The dough is made mainly of semolina, not flour, which gives the pastry a very specific texture and flavor. 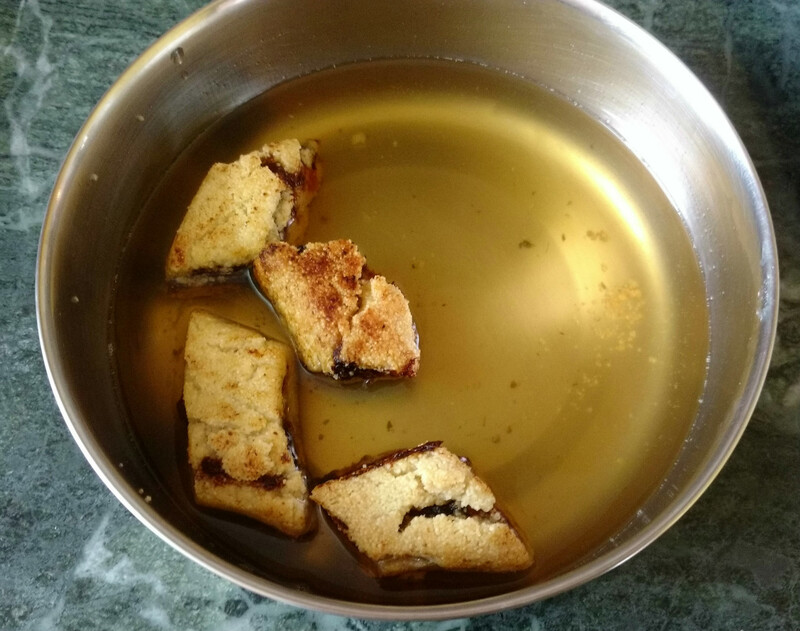 Traditionally, Makroud is composed of a dough made of semolina that is most commonly filled with dates but also figs or almonds. Of course, there are various recipes: some are baked or fried in oil, while others contain almonds or sesame seeds. In any case, the classic recipe remains pretty much the same everywhere. It is then rolled and cut in diamond shapes. 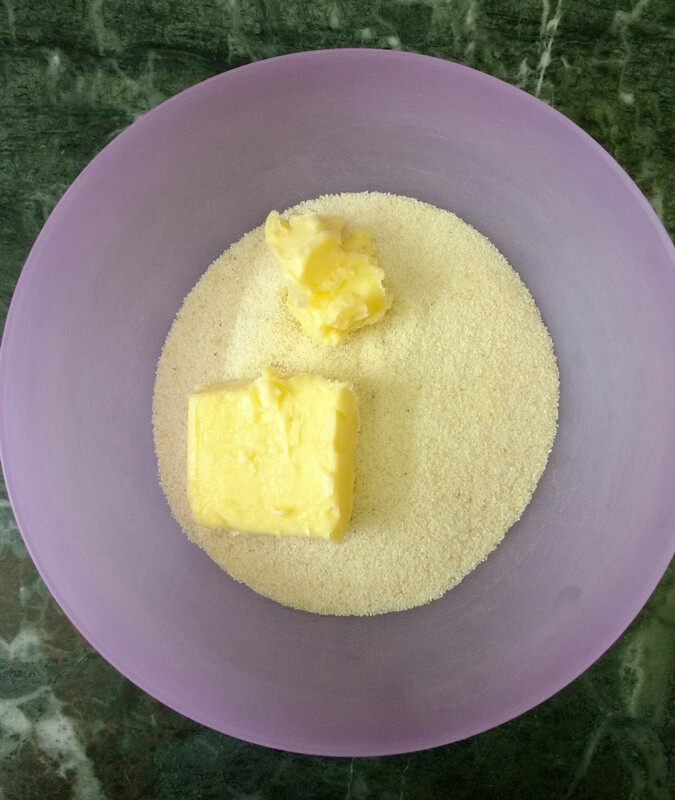 The pastry is then dipped in a honey syrup made from sugar and lemon or orange blossom water. A must mention here is that since these cookies are made of coarse semolina, the dough needs to absorb the liquid ingredients to become pliable, hence resting time is imperative. 2 tbsp rose water OR orange flower water if available. - Steam pitted (wet) dates in a colander over boiling water for 20 mins. - Once cool make a puree of the same in the chutney grinder of your blender, add a little water if required. - Add in cinnamon powder. - The paste must resemble 'play doh'' any softer and it will keep oozing out at the time of filling the cookies. - Add in chopped pistachios or any chopped nuts of your choice, and mix well. - The filling is ready! Divide the date paste into 2 portions. - Take half of the dough, and shape it into a log as long as the date paste log. - Transfer the makroud on a baking tray lined with parchment paper. - Bake in a preheated oven at 360 F / 180 C for 30-40 minutes or until the makroud have a beautiful deep golden brown color. - Let the makroud cool down for several hours before serving them. Hahha.Thank you my friend. You must try these someday. Texture is very different from anything that we are used to having. Hi I tried to make it. 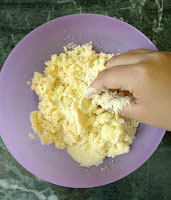 I was able to get a dough ball with the semolina and also left it for an hour though when I tried to roll it and stuff the filling it would keep breaking / cracking. Can you suggest what I could do when I try it again ?